This morning the Bureau of Labor Statistics (BLS), an office within the Department of Labor, announced the unemployment rate for November 2013. As currently calculated, the unemployment rate has indeed fallen to 7.0 percent. The problem is that since the national economy has deteriorated to such a severe degree over the past half-decade the BLS calculations have become a wildly inaccurate way to gauge the health of the broader economy. The fact of the matter is that real unemployment, as a result of the financial crisis and the strangulation from America’s oppressive tax and regulatory regime on the economy, is still in the double digits. Still, last month’s figure is the lowest since November 2008 and thus the lowest since President Obama was first elected. Major news outlets were quick to point out this particular detail as if it somehow vindicates the Obama Administration’s largely poor economic record over the last 5 years; a situation recently exacerbated by the disaster that has thus far been the Obamacare implementation. 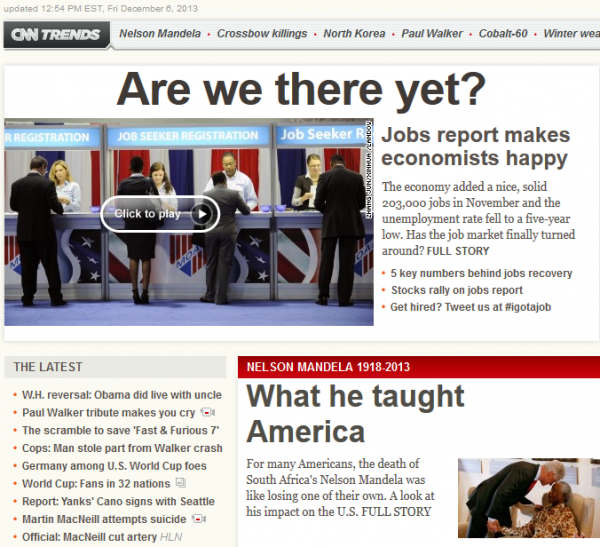 CNN even made a point to afford a large part of its website’s front page today (despite the ongoing coverage of the death of former South African President Nelson Mandela) to proclaim this news and even suggest that this is some undeniable sign of a strengthening economy. They couldn’t be further off the mark. “Are we there yet?” they ask. Not only haven’t we left the driveway, but the car has been driven through the garage and is currently parked halfway through the kitchen. Let’s take a closer look at the way the BLS arrives at the official unemployment figure each month. With the help of the Census Bureau, the BLS estimates the entire civilian population of working age out of the broader population. For last November, they determined that figure was roughly 246.567 million people. Next they calculated the number of those individuals that are either employed or that are actually seeking employment. That figure currently stands at 155.294 million. The percentage of those employed or seeking employment of the total working age population is called the labor force participation rate, which currently stands at 63 percent. Thus it follows that if the employment rate is 93 percent, then the unemployment rate is 7 percent. Most, like CNN and whatever imaginary or bad economists they claim are “happy” with last month’s figures, would rather just leave it there. The trouble is that this current measure of the labor market does not reflect the collective long-term damage that has befallen the economy. 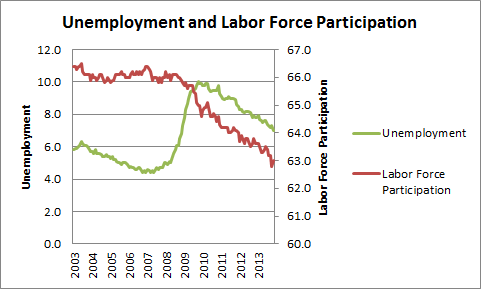 The key here is the labor force participation rate. Since employment is determined as a ratio of the labor force, a lower labor force participation rate can artificially drive the BLS’s measure of unemployment down, which is exactly what has happened over the last 5 years. In order to accurately reflect the state of the economy over the past few years, we must consider the many Americans that have been totally discouraged from participating in the labor force. To do so, the labor force participation rate used in the employment calculation must be adjusted to the level seen the last time unemployment was at or below 7 percent; which is November 2008. 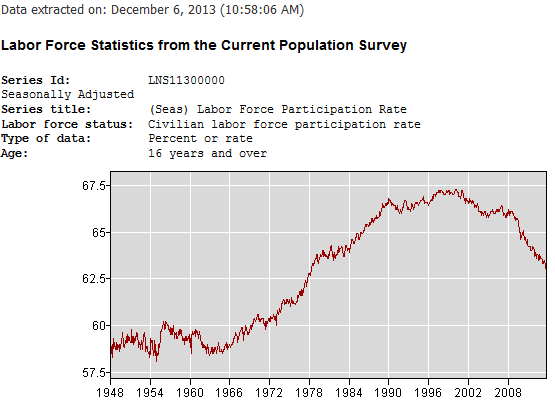 According to the BLS’s historical tables, labor force participation in November 2008 was nearly 3 percentage points higher than it is today; at 65.9 percent. To calculate how many workers in the labor force that would be today, we multiply the total working age population by .659. This demonstrates that, had the labor force participation rate remained stable over the last 5 years, the actual employment rate would be 88.9 percent and therefore the unemployment rate for November 2013 would actually be a staggering 11.1 percent. Some will undoubtedly shrug this off as frivolous criticism of the Obama Administration. The problem is that misrepresenting the state of the economy has dire consequences. Americans can ill-afford to ignore the fact that millions of their fellow citizens continue to be left out in the cold while news outlets like CNN broadcast headlines claiming that there has been some sort of miraculous recovery. This is President Obama’s inadvertent “Mission Accomplished” moment. 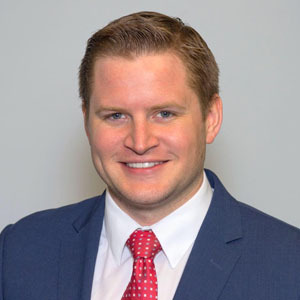 The fact is that overly complicated and growing tax and regulatory codes continue to act as a parking boot on the economy, preventing growth, discouraging employers from hiring, and displacing Americans out of the labor force at unprecedented rates. It’s high time we address these real issues instead of celebrating imaginary victories.